Is buying a mattress on your list of things to do this year? A good mattress is an investment in your comfort and health, but it is also a good opportunity to buy American from a company you can trust. There are a surprising number of options. 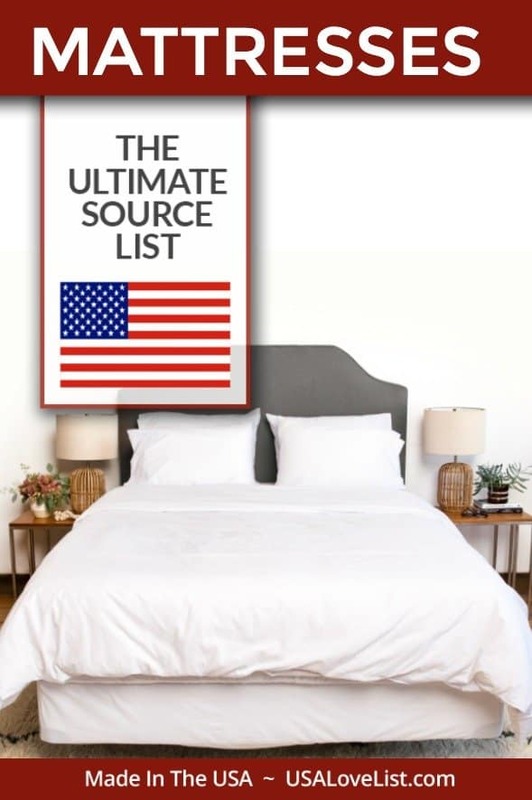 Don't miss this list of American made mattresses to get you started on your search for the perfect one! Make sure you break in your new mattress with luxury American made bedding from Authenticity 50. All Authenticity 50 luxury bedding is 100% made in the USA from “seed to stitch”. Authenticity 50 luxury sheets, pillowcases, and duvet covers are manufactured from Supima cotton. Supima cotton is two times more expensive than regular cotton and is even MORE expensive than Egyptian Cotton. Authenticity 50 bedding is crisp, comfortable, and long-lasting. Authenticity 50 luxury bedding is now available in Carolina Gray and Pacific Blue, as well as Signature White. Aslan is the only mattress company that offers a full 365 night trial with free returns on a product that is 100% made in the USA. They also offer an Infinite Warranty and will match other mattress warranties. Aslan medium-firm mattresses are made of 3 layers of state of the art CertiPUR-US Foam and offer ideal comfort and support for all body types. The top layer is made of beaded GEL Memory Foam, which provides temperature regulation and helps keep the body cool. Aslan mattresses also have great edge support, and are Zero Off-Gassing. At Amore Beds, they don't believe that one universal mattress will work for everyone, so personalized affordable mattresses are their thing. 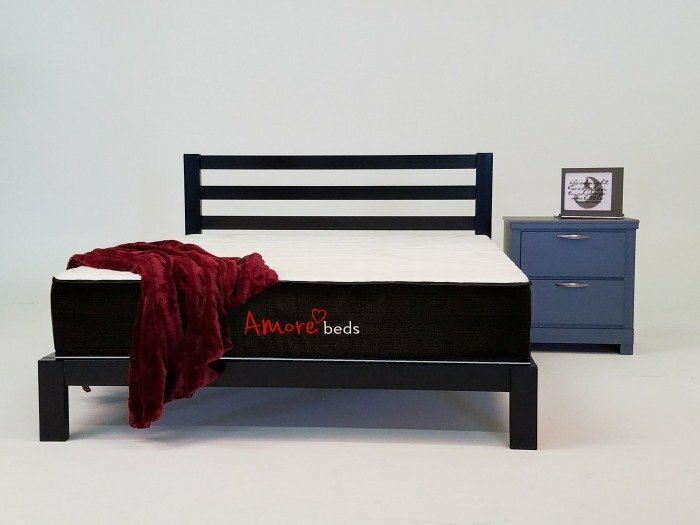 Amore Beds flippable mattresses or hybrid coil mattresses are available in three firmness choices: soft, medium, and firm. You and your significant other can't agree on a firmness? No worries – Amore Beds offers an option to split your mattress with a soft, medium, or firm on each side. Not sure if you want a medium or a soft mattress? No problem. 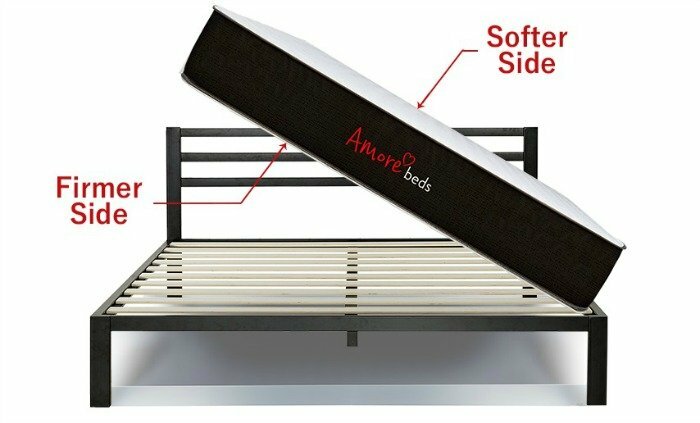 Amore Beds can customize a flippable mattresses where one side is slightly firmer than the other. Other luxury features that only Amore Beds offers for personalized sleep comfort are; choice of an organic cotton or a copper-ion fabric option, GOTS wool blended with the quilted cover, multiple premium layers, firm edge support for those who sleep on the edge, and hybrid style individually wrapped pocketed coils to offer continual support. For 12 years BedInABox.com has been offering affordable luxury mattresses online. It is the oldest direct sale mattress company in the business. All BedInABox is the only box mattress company that manufactures it's own foam cores in the USA and they are CertiPur-US® certified. Choose from mattresses for every sleep style and budget. 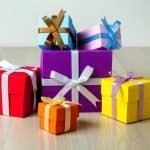 BedInABox.com offers 120-night sleep trial. 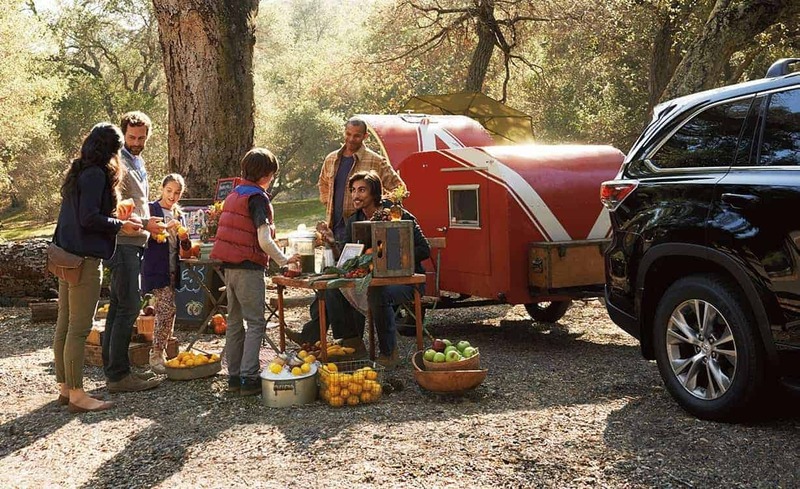 You pay nothing if you are not satisfied with a money back guarantee, just contact our onsite customer service center. Every mattress is covered with a 20 year warranty as BedInABox stands behind all products with an exceptional warranty. Get your new BedInABox mattress in only 2-5 days in the contiguous US as it is shipped right from the facility where every product is inspected for quality. Free shipping on all orders! 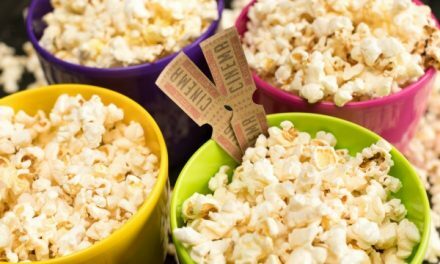 Save 15% off all BedinaBox.com orders with discount code USALOVE. Valid on all Queen Size Mattresses and higher, with the exception of the PacBed Lite Mattress. The CRāVE team knows that one mattress does NOT fit all which is why CRāVE offers four mattress styles to choose from. Two of CRāVE mattress styles are foam and spring hybrid mattresses- mattresses that provide comfort and support equal to traditional luxury spring mattresses, but at a lower price.CRāVE mattresses are Eco-friendly. All foams used are CertiPur-US® certified. Made in North Carolina, all materials used in CRāVE mattresses are sourced with in a 200 mile radius, reducing their carbon footprint. 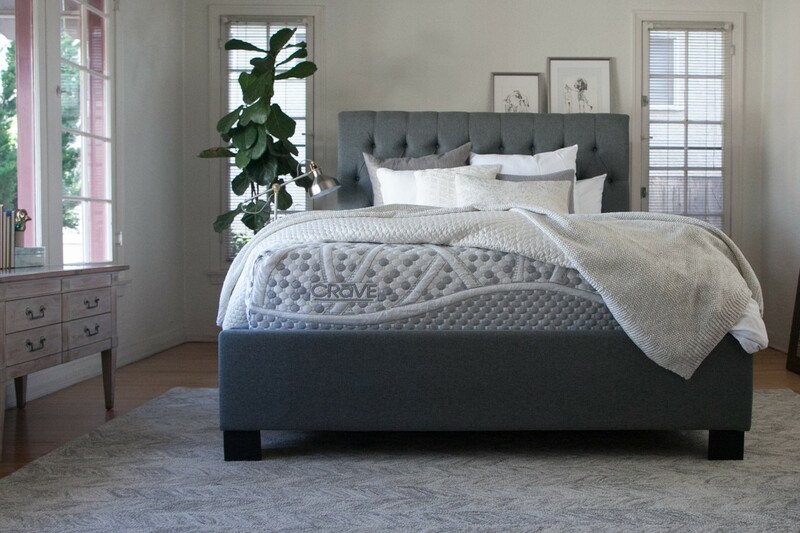 Receive the good night's sleep you crave on an affordable, Eco-friendly, luxury mattress. 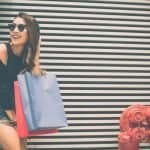 CRāVE mattress offers free shipping too! My Green Mattress non toxic mattresses are handcrafted in Illinois. All My Green Mattress mattresses are GREENGUARD Gold Certified, which considers safety factors for individuals with sensitivities and allergies. Instead of chemical laden flame retardants, My Green Mattress uses American Eco Wool as a natural flame barrier on it's mattresses. The wool is sourced from California and Oregon. For its latex mattresses, My Green Mattress uses 100% GOLS (Global Organic Latex Standard) Certified Organic Dunlap latex. Dunlap latex is made from the sap of the rubber tree. My Green Mattress even offers a 100 night sleep trial. Receive an additional $25 off your My Green Mattress order with discount code USALOVE for a total saving of $125 off of any My Green Mattress twin size or larger. Did you know that you can get high-quality mattresses sent right to your door? I honestly had no clue until I started doing research for this list! Purchasing a mattress from an online-only retailer usually means that the mattress comes to you directly from the factory. This lowers the cost of the mattress by cutting out retail store costs. To make shipping easier, these mattresses come rolled up in an easy to handle box. I have to admit, I was a little wary about purchasing a mattress this way. BearMattress sent me a twin size mattress to review. BearMattress gel memory foam mattresses are uniquely designed for optimal cooling, comfort, and healing. The mattress arrived right to my door via UPS. The box was easy for me to move without the need of another person and contained easy to follow directions on how to remove the mattress. With the help of my kiddos, we removed the mattress from the box, followed the directions, and had the mattress ready to use in no time. Once we unrolled it, there was no evidence at all that the mattress had previously been rolled up. BearMattress was specifically designed for those with an active lifestyle as it's engineered with four layers of foam to promote healing, cooling and to increase energy levels. Active, I am not, so this review is limited on that aspect. However, the day that the mattress arrived I had been on a hike with the hubby that included going up and down a large hill which normally would have resulted in sore muscles the next day. Coincidence or not, after sleeping on the BearMattress that night (and having a great night's sleep), I did not have a spot of soreness. My daughter is the one who has been sleeping on the mattress since. She is the person in the family who is always hot, and she would often wake up during the night from being too hot (even in the winter). This has not been happening since she has had this mattress. 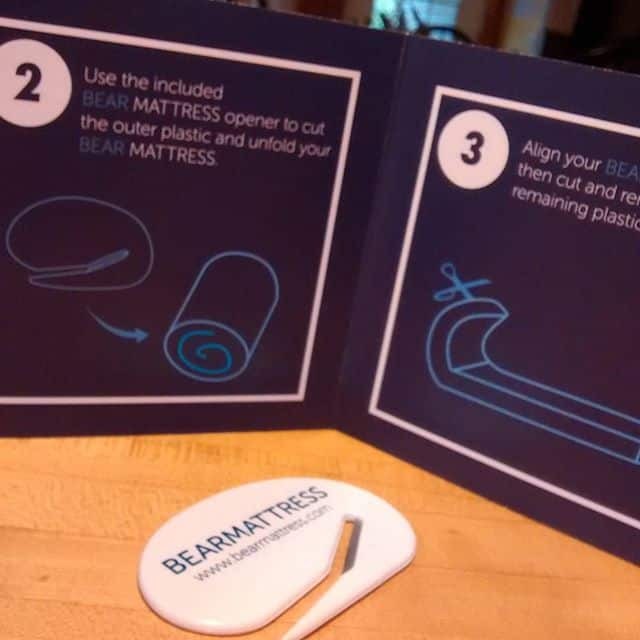 For our first online mattress experience, BearMattress has set the bar high! Many of the companies on this list are online only stores. This list is always growing, so check back often. 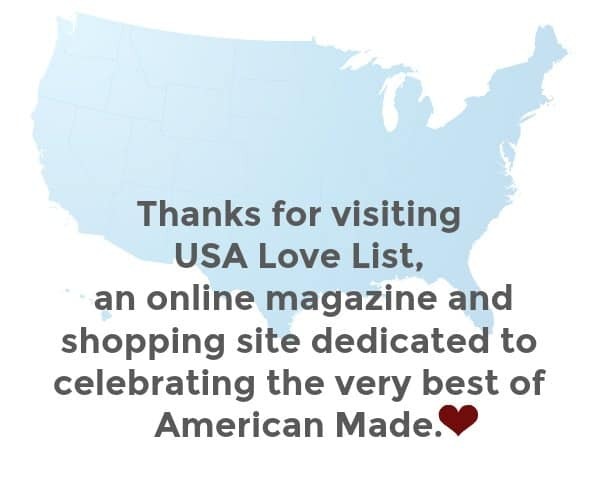 If you have a favorite American made mattress company that you don't see on our list, let us know in the comments and we will add it. 4Sleep offers luxury foam mattresses. 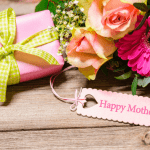 Agility hybrid mattress was designed with moms in mind. Ameena Mattress are factory direct and manufactured in Georgia (the covers are made in North Carolina) from CertiPur-US certified memory foam. Amerisleep is a maker of natural memory foam mattresses. Amore Beds mattresses are available with organic cotton fabric, split mattress firmness. Also available: 2 sided flippable mattresses and coil hybrid mattresses. Learn more about Amore Beds mattresses at the top of this article. Aslan GEL infused memory foam Certi-pure USA certified mattresses are made in the USA and come with a 365 Night Trial. Learn more about Aslan mattresses at the top of this post. Avocado mattresses are made with natural and organic materials in California. BearMattress memory gel foam mattresses are specifically designed for athletes and those with active lifestyles. See review above. BedinABox.com is an online retailer and manufacturer of memory foam mattresses, located in Tennessee. The Serenity mattress is pictured below. 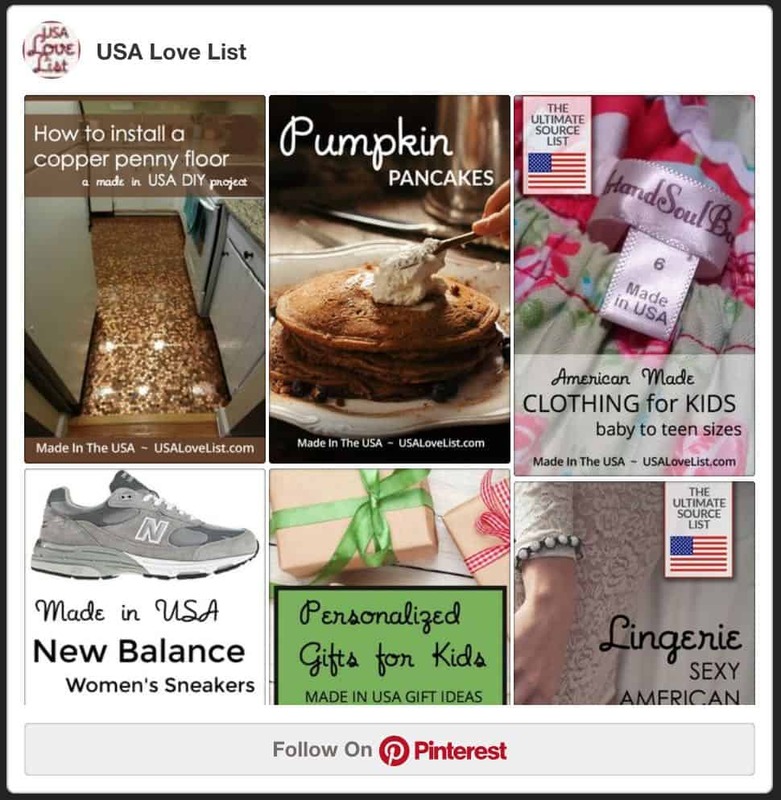 Learn more about this made in USA Mattress company at the top of this post. 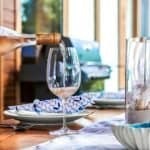 Save 15% off all BedinaBox.com orders with discount code USALOVE. Valid on all Queen Size Mattresses and higher, with the exception of the PacBed Lite Mattress. Brentwood Home memory foam, latex, spring, and foundation mattresses (quilts, pillows and pet beds too) are made in California. Brooklyn Bedding factory direct mattresses, pillows and sheets are made in Arizona. Casper mattresses, pillows and sheets are made in the USA and factory-direct. 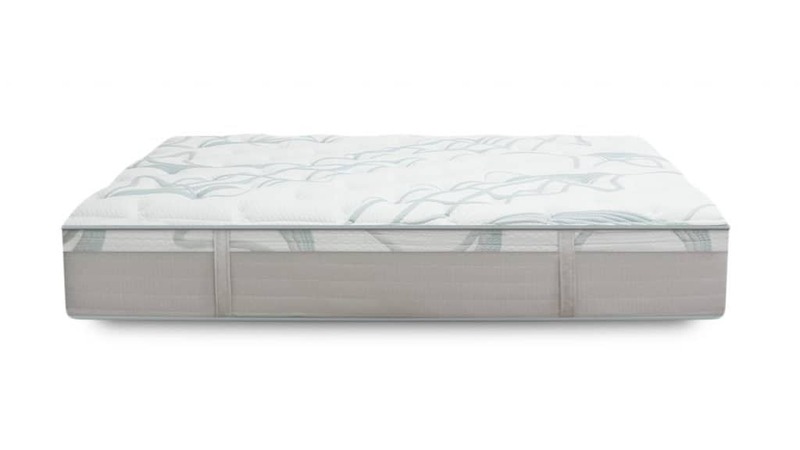 Cocoon by Sealy mattresses are assembled in the USA. Colgate manufactures crib, changing table, and bassinet mattresses. Cozy Pure manufactures organic pillows, sheets, blankets, and toppers in Norfolk, Virginia. CRāVE Mattress foam and innerspring mattresses are Eco-friendly and made in North Carolina. Learn more about CRāVE Mattress at the top of this article. Create A Mattress manufactures made to order memory foam, latex, futon, and pillow-top mattresses in the USA. Diamond Mattress brands include Rally and Diamond. Diamond Mattress has been making mattresses in the USA since 1946. Dromma Bed Eco-friendly mattresses are made in the USA from natural materials. Easy Rest adjustable mattresses are made in the USA. Element factory-direct memory foam mattresses are 100% American made. eLuxury is an online retailer of bedding products. 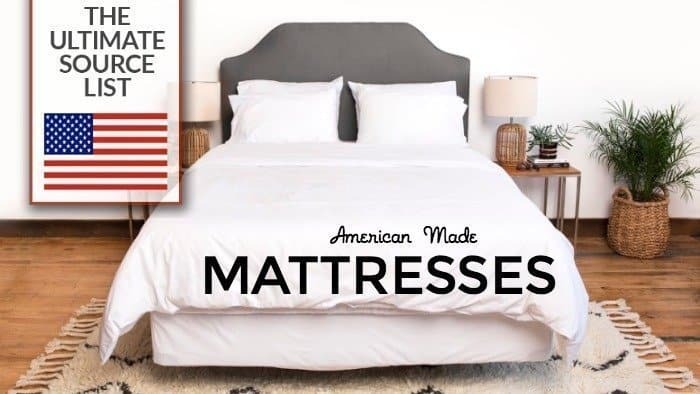 Not all products are American made, but they have a selection of pillows, mattresses, and toppers that are. Envi 3 layered mattresses are made in Portland. Everlay mattresses, pillows, and even pet beds are made in California. 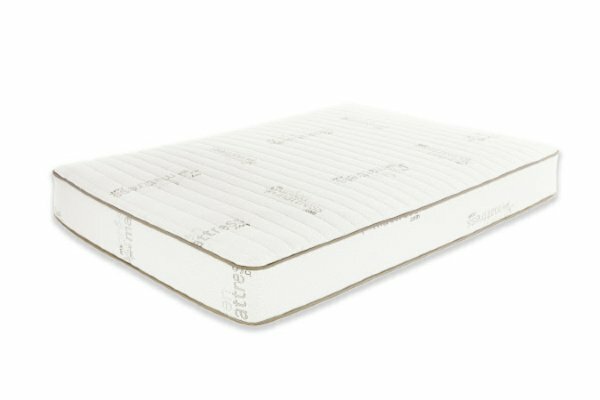 GhostBed Gel memory foam and latex mattresses by Nature's Sleep. Foundation/box spring also made in USA. Helix personalized mattresses are made to order. HIBR manufactures cooling memory foam mattress, made in America. Hyphen mattress is designed for a cool, clean, supportive sleep. Kiss Mattress memory foam and latex mattresses are made in USA. Leesa foam mattresses for everybody. For every 10 mattresses sold Leesa donates one mattress to a shelter. My Green Mattress non-toxic mattresses are handcrafted in Illinois. The Hope latex mattress pictured below is made from certified organic Dunlap latex, made from the sap of the rubber tree. Learn more about My Green Mattress at the top of this post. MyPillow makes a mattress too- 10″ and 4 layers. Nest Bedding sells American made organic mattresses, sheets, pillows, blankets, and comforters. Newton breathable crib mattresses are made in Tennessee. Nolah Every part of the mail order Nolah foam mattress is made in the USA in one of their 8 factories. Novosbed designer luxury memory foam mattresses are made in Pennsylvania. 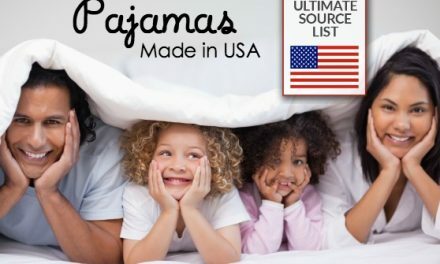 Don't miss our source list of made in the USA pajamas for men, women, and kids. and made in USA slippers and moccasins. Pacific Mattress Co. float foam mattresses are made in California. PangeaBed manufactures copper infused Talalay latex mattresses. PerformaSleep mattresses are handcrafted in the USA. The foam is made in Georgia and the covering materials in South Carolina. 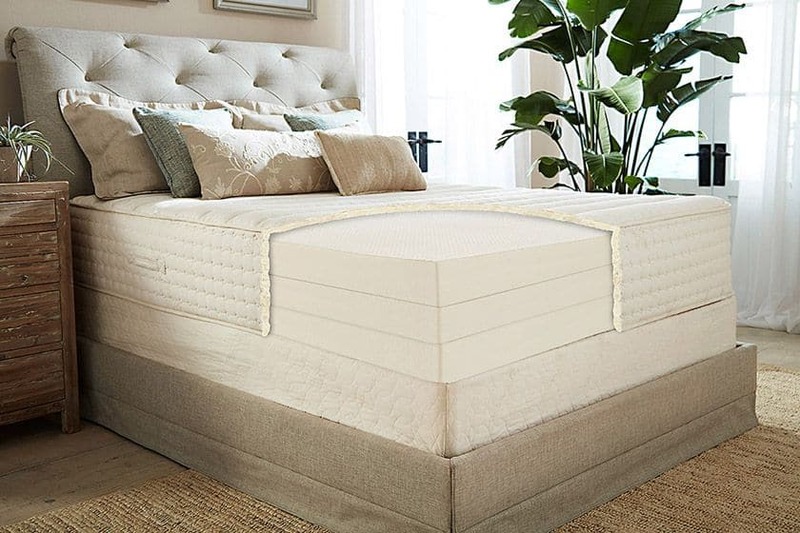 Plushbeds flagship product is the Botanical Bliss American made organic latex mattress – a custom-made, hand-crafted, adjustable firmness model with a 25-year warranty. 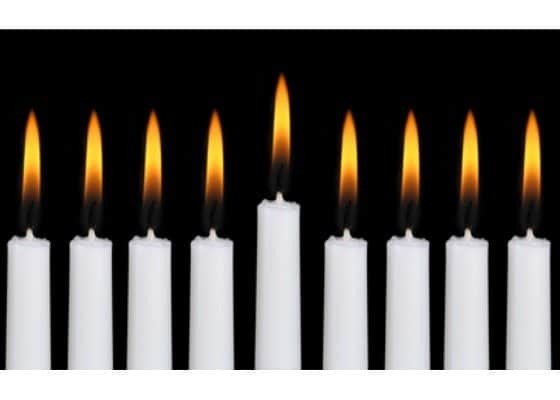 PlushBeds offers free shipping and a completely risk-free money-back guarantee. Puffy foam mattresses are American made. PuraSleep memory foam mattress and pillows are American made. Purple offers no pressure mattresses, made in USA. Quilbed manufactures gel memory mattresses. Saatva is the only online mattress brand that manufactures and sells ultra-premium innerspring mattresses. 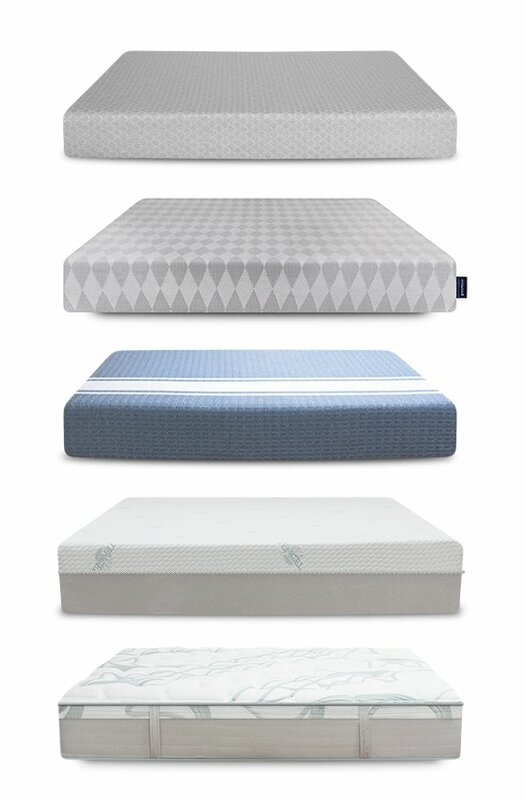 Serta mattresses are available in 7 sizes from crib to Cal King. Serta has 24 factories throughout the USA. Spoon mattresses are memory foam. 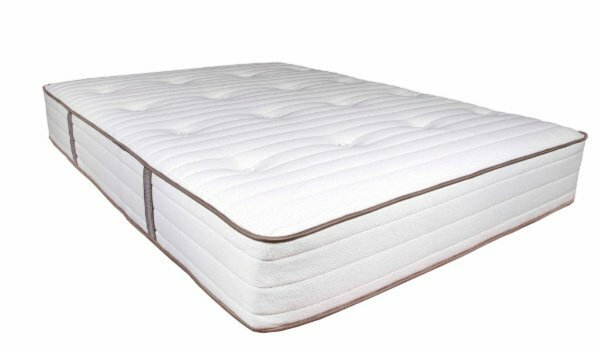 Spindle natural latex mattresses are made in Massachusetts. Stumptown Mattress mattresses are affordable and made in the pacific northwest. Summerfield made in New York and developed by the owners of the mattress store Craig's Bed. tulo mattresses are available in multiple firmnesses and can be purchased in store AND online. Tuft & Needle Adaptive Foam mattresses are made in California from materials sourced throughout the USA. Warrior Bed Company manufactutures Certipur-US memory foam and gel mattresses in Mississippi. Zenhaven by Saatva affordable luxury natural latex mattresses made in USA with organic cotton and wool. Zotto offers hybrid foam mattress and mattress topper. 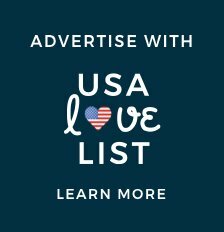 Disclosure: This is a sponsored post which USA Love List is proud to share with you because, sponsored or not, we only share stuff we love. Cover photo: Authenticity 50 made in USA luxury bedding. I had no idea there were so many American-made mattresses. I definitely will be needing a new mattress before much more time passes. I think we have one Serta. I’m not sure what the other one is, but I’m pretty sure it was also made in the USA. Serta mattresses are manufactured all over the world. Yay!!! Glad to know my current mattress is made in the USA!! I could really use a new mattress, thanks for sharing! In my search for a good mattress I came across this site. Perfect timing for me. Thanks. Awesome blog. The best mattress I have ever purchased at reasonable price is from http://www.LuxiSleep.com... I love it! ABC say “Luxi brings peace to the mattress battle with innovative technology and commitment to sleep health” & I completely agree. I appreciate this review. We are shopping for a new mattress. Memory foam makes a big difference! This information was very helpful to me. I had no idea so many mattresses were Made in the USA. Obviously sponsored content. You skipped Sleep Number, which is made in the U.S from domestic components. So glad I came upon this article, it’s exactly what I have been looking for. The easy part will be reading about all the mattresses; the hard part will be selecting one. Thank you! I would like to see a little more precision here. It is one thing to say made in the U.S.A. But are all of the components that comprise the product made in the U.S.A.? Or is it made in the U.S.A. as an assembly of components made in China. It would be preferable if you could state: made in the U.S.A. of components exclusively made in the U.S.A.
I’m looking for a mattress so I’m going to play the devil’s advocate here. 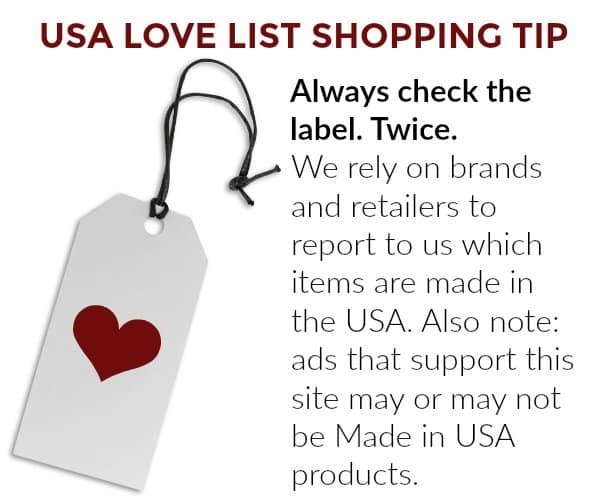 While it’s nice to see many”made in the USA” items listed here, none had a city/town street address given or were given with only a US state listed for the manufacturer. The Puffy Luxo is a mattress I am interesting in purchasing. I’ve looked all over the internet and the best I found was “N. Hollywood, Ca”. I feel some transparency is needed here. Is there a town in Outer Mongolia named intheUSA? What are these mattress companies hiding??? Buying anything online is a terrific risk, especially for >$1,000 items. Prove to me that all these companies are legit by stating the address and state of each company. The devil has spoken. Hi John! We report what brands tell us about the location of their manufacturing and we try to provide as much information as possible, including state and city when that information is provided to us, because we know our readers love to know those details. It is an urban myth that cities in Asia are names in USA for the purpose of fraudulent labeling. If any of our readers EVER found an instance of such a practice, we would want to know right away (as would the FTC). We have never heard of such a thing. We can’t *prove* to you that something is made in the USA, and even if we did, companies can change their manufacturing at any time. Before you make a purchase, especially a big one, you should go ahead and call the company to ask what you want to know directly. Thank you for trying to buy American! I am launching a new brand, Warrior Bed (www.warriorbed.com) which is absolutely 100% Made in USA. Our manufacturing facility is near Tupelo, Mississippi, which holds a long and storied tradition in the furniture and bedding industry. Our fabric cover (ticking) is made in USA, and our memory foam and memory gel is poured and shaped locally using only CertiPUR-US® certified foam. Our mattress is designed with a 7.5″ base layer of high-density foam, with a supportive and cooling 2.5″ layer of gel-infused memory foam. We commit a percentage of our sales to helping service disabled and other service connected US Veterans through our charitable partner, Purple Heart Homes. What about Otis Bed? Are they still made in the USA? 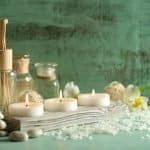 Which is better for side sleepers with chronic pain? A Purple or Nectar memory foam mattress?